The Bambino and Me by Zachary Hyman, illustrated by Zachary Pullen and audio narration by Jason Alexander, is a great little book about baseball and the heroes we have as children. While this story is completely fictionalized, the author used some of Babe Ruth’s own words to inspire the story. A young boy, named George, receives a baseball jersey for his birthday, but its for the wrong team. George is a New York Yankees fan, but his uncle just buys him a nice jersey to wear to his first baseball game with his father. George’s dream to see Babe Ruth play for the Yankees is about the come true, but there’s only one catch, his mother is going to make him wear his present, a Red Sox Jersey. And if you know anything about baseball, that’s not a good situation. 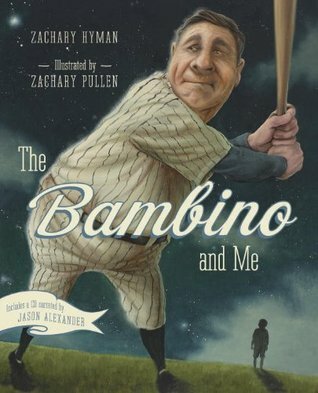 The Bambino and Me by Zachary Hyman, illustrated by Zachary Pullen and audio narration by Jason Alexander, is a great story for young readers about heroes and the bravery it takes to be an individual and keep trying no matter how much we fail. There are great messages here about perseverance, respecting the gifts we’re given, and the respect we need to show to our families and others. Jason Alexander is superb as he breathes life into the main protagonist, his mother, and the Babe. He’s a great actor and it shines through in his vibrant narration. Zachary Hyman is one of North America’s top young hockey prospects and was drafted by the Florida Panthers in the 2010 NHL Entry Draft. In 2011, Hockey Canada named Zachary Hyman the Canadian Junior A Player of the Year and his sweater hung in the Hockey Hall of Fame. His love of baseball and his passion for history inspired Zachary to pen The Bambino and Me. Hyman studies and plays hockey at the University of Michigan, where in 2012 he received the Freshman Academic Achievement Award. Zachary Pullen’s character-oriented illustrations have been seen in numerous publications including The New York Times Book Review, Sports Illustrated, Esquire, and The Wall Street Journal to name a few. He has been honored several times through the prestigious Society of Illustrators juried shows and Communication Arts Illustration Annual of the best in current illustration. Pullen lives with his wife and son in Wyoming. To see more of his work, please visit www.zacharypullen.com. Jason Alexander is best known for his role as George Costanza on the TV series Seinfeld, but his acting credits span from the Broadway stage to film to music videos. His list of awards is long and varied, and includes a Tony Award and Magician of the Year at the esteemed Magic Castle in Los Angeles. He’s also an award-winning author, librettist and director; a noted cabaret artist and comedian; and a poker enthusiast. A true renaissance man, he lives in Los Angeles with his wife and sons. 37th book for 2014 New Author Challenge. 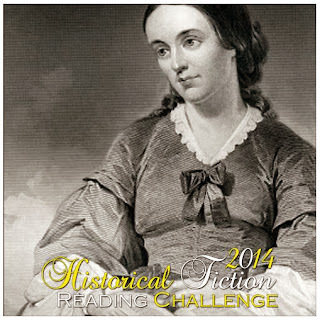 20th book for 2014 Historical Fiction Reading Challenge. Mailbox Monday, created by Marcia at To Be Continued, formerly The Printed Page, has gone through a few incarnations from a permanent home with Marcia to a tour of other blogs. Now, it has its own permanent home at its own blog. 1. The Bambino and Me by Zachary Hyman, illustrator Zachary Pullen, and narrator Jason Alexander for review from Tundra Books. A picture book that perfectly conjures 1920s New York for fans of baseball and Babe Ruth. This book also includes a CD narrated by Jason Alexander! George Henry Alexander is a huge fan of baseball. His favorite team is the New York Yankees and his favorite player is Babe Ruth. George plays baseball during his free time and he listens to the games on the radio with his dad. Everywhere he goes, he carries his Babe Ruth baseball card. On his birthday, George’s parents surprise him with two tickets to watch the Boston Red Sox and the New York Yankees–his first real game! But his presents don’t stop there. Uncle Alvin has sent him a baseball jersey and cap, but it’s for the Boston Red Sox! Filled with horror, George tosses them aside, but his mother will not have any of that. He will wear them to the baseball game with his dad! 2. 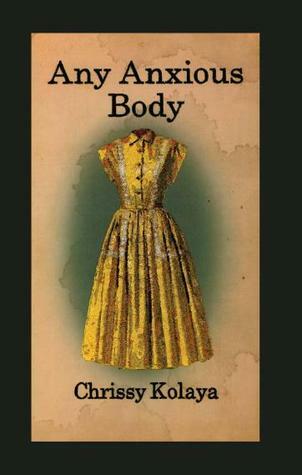 Any Anxious Body by Chrissy Kolaya from the poet for review. It may seem counter-intuitive – even morbid – to take comfort in the inevitability of our mortality; but that is merely one of many truths confronted with both honesty and eloquence in this compelling first collection of poetry by Chrissy Kolaya. Another is the dark underbelly of the American dream of upward mobility the disconnect that occurs across the generations as the gulf of education and economic opportunity increasingly separates the experiences, values and interests of the young from their forebears, making each of us a stranger in the strange land of our families and “A World Familiar/Unfamiliar” (the title of one section. 3. 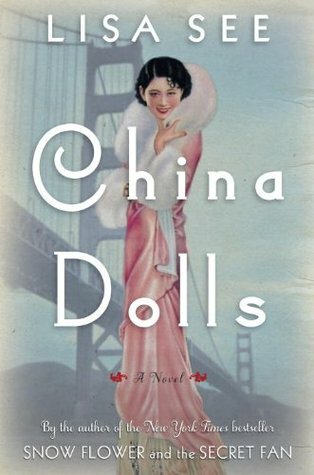 China Dolls by Lisa See from the publisher for review. In 1938, Ruby, Helen and Grace, three girls from very different backgrounds, find themselves competing at the same audition for showgirl roles at San Francisco’s exclusive “Oriental” nightclub, the Forbidden City. Grace, an American-born Chinese girl has fled the Midwest and an abusive father. Helen is from a Chinese family who have deep roots in San Francisco’s Chinatown. And, as both her friends know, Ruby is Japanese passing as Chinese. At times their differences are pronounced, but the girls grow to depend on one another in order to fulfill their individual dreams. Then, everything changes in a heartbeat with the Japanese attack on Pearl Harbor. Suddenly the government is sending innocent Japanese to internment camps under suspicion, and Ruby is one of them. But which of her friends betrayed her? 4. 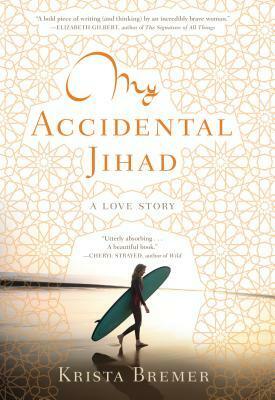 My Accidental Jihad by Krista Bremer, which came unexpectedly from Algonquin. Fifteen years ago, Krista Bremer would not have been able to imagine her life today: married to a Libyan-born Muslim, raising two children with Arabic names in the American South. Nor could she have imagined the prejudice she would encounter or the profound ways her marriage would change her perception of the world.But on a running trail in North Carolina, she met Ismail. He was passionate and sincere and he loved adventure as much as she did. From acquaintances to lovers to a couple facing an unexpected pregnancy, this is the story of two people a middle-class American raised in California and a Muslim raised by illiterate parents in an impoverished Libyan fishing village who made a commitment to each other without forsaking their own identities.